What a joy it was on Sunday to have so many Boy Scouts take part in our worship service to celebrate Scout Sunday. The Boy Scouts presented their colors at the beginning of the service, and then we all recited the Pledge of Allegiance to the US flag. 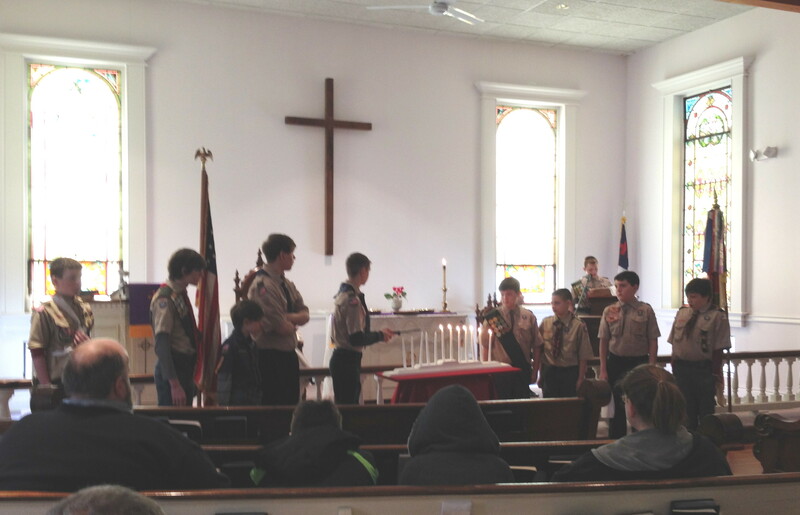 During the service, the boys recited the Boy Scout pledge and the Boy Scout law. It was a well organized program and highlighted their commitment to the Boy Scout ideals. Impressive young men!! It’s an amazing post designed for all the online viewers; they will obtain benefit ffrom it I am sure.